The times, they may be a-changing, but if there’s one thing that hasn’t changed much since our pre-smartphone days, it’s that working Americans feel they don’t have enough time. We can’t add more hours to a day, but we can use those hours more efficiently – particularly when your time involves chores that aren’t so enjoyable but are unfortunately non-negotiable, like waiting for a doctor or stabbing away at your phone to get those photos backed up and emailed. Whether it’s automating certain tasks to save time, or managing time to fit in more tasks, these apps can help you get more out of that most coveted of resources. Do you often collect receipts for emailed expense reports? Or maybe you’re like me, and frequently need to AirDrop yourself screenshots of all those smartphone apps you write about. Whatever your daily poison, Workflow can turn it into a single homescreen icon that when pressed, gets it done – minus any further attention from you. You can create your own “workflows” based on dozens and dozens of actions (more than 200 currently) that can be linked together, but you’ll also likely find existing workflows that do what you need – and what you never knew you needed – just by browsing or searching the gallery of advanced workflows that others have already made and made public. Other useful workflow examples: Create a GIF from photos you’ve taken; text a favored person with your ETA at home or work; book an Uber to the next appointment in your calendar. 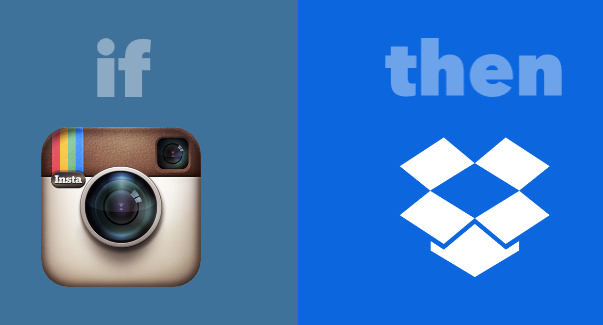 It’s also an automation app, but IFTTT (If This Then That) operates a more streamlined workflow, as it were, than Workflow – you can link just two actions, such as “IF” I am at ‘x’ location; then send ‘BAE’ a text. On a smartphone, its associated “Do” apps let you put up to three such “recipes” on a homescreen icon that you can tap to instantly run the action. Some useful recipes: Text family members with current location; scan something and send to computer; save pictures of tax receipts to a Dropbox, Google Drive or OneDrive folder. One survey found that more than half of Americans are likely to spend about 43 days of their lives on hold, waiting for a customer service rep to get to them. Avoid that fate with the LucyPhone app. Choose from the app's list of thousands of companies or enter the company's phone number and it will call for you. If you get put on hold, press ** (star star) and the app will wait on hold for you. As the app waits on hold for you, it also shows you the status of the call. (It can also show you recent call history.) When it's finally your turn to talk to an agent, you'll get a call back. Sure, we’d all like to eat more fresh fruit and veggies, but with work, family and friend commitments, multiple grocery shop outings each week aren’t always possible. Streamline your food-buying by outsourcing the pickup and take-home part of it with Instacart, a same-day delivery service that harnesses the legwork of available couriers (a la Uber) to grab your groceries from local stores, including Whole Foods and Costco, and deliver them to your home. Currently the service is operating in cities in California, Colorado, Connecticut, Florida, Georgia, Indiana, Maryland, Massachusetts, Michigan, Minnesota, New Jersey, New York, North Carolina, Oregon, Pennsylvania, Texas, Virginia and Washington, as well as Washington, D.C. You can enter your zip code here to find out if your city has service and get notified when the service expands to your area. If you fall ill and need to see a doctor on short notice, you can bypass waiting at a walk-in clinic with Doctor on Demand, which gets you a video consultation with one of 1,400 board-certified and vetted doctors, who can also prescribe medicine for pickup at a local pharmacy. 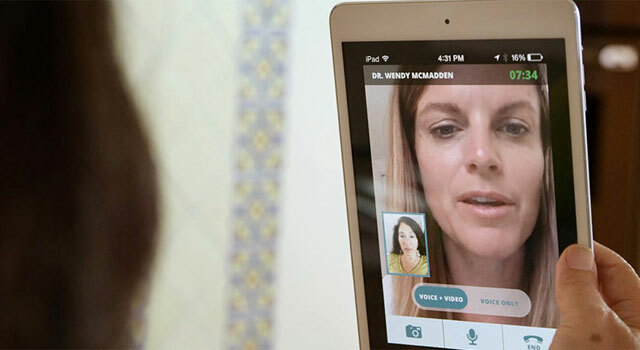 The app also offers video time with psychologists and lactation consultants. If you need to get past test results or medical documents to your Doctor On Demand physician, you can now view and upload them from within the app. Co-founded by Dr. Phil McGraw, the startup charges fees that are, according to the site, less than typical urgent care fees and not much more than what you might pay on copay, while some insurance plans may cover the fees. As a patient, you can rate each visit. Between online news sites, social media links and general clickbait, keeping up with whatever’s trending is a surefire means to skewer efficiency – even if it’s in the name of keeping tabs on your industry. 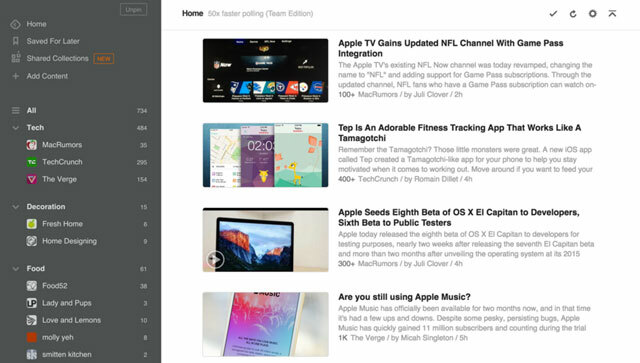 Get efficient by using news aggregator Feedly, which pulls stories from publications and categories you pick into a single polished interface for reading at a better time. You can read the stories in your browser, or on the smartphone and Kindle apps. Productivity bonus: Schedule a time period for reading online news and compartmentalize your link-clicking into this period. Do catalogs, coupon books, mass-mailed fliers, credit card offers and more clog your mailbox? 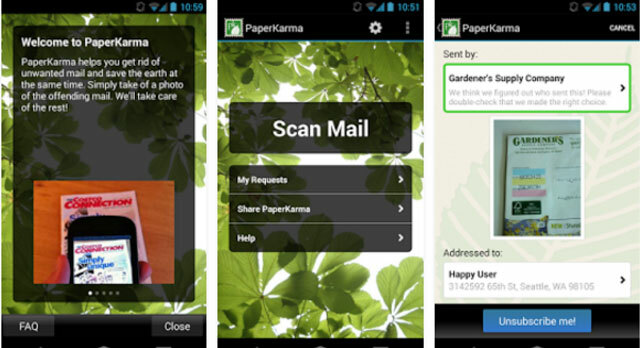 For those of us trying to be more organized, not to mention going paperless, it's a daily annoyance and that's where the PaperKarma app comes in. Once you've loaded and registered the app, you can use the camera on your phone to take a picture of the offending piece of junk mail. A few taps later, the app will send a request to the junk mail sender to take you off their mailing list. You should see results within a few weeks. Note there is one type of junk mail it can't stop – those distributed based on zip code alone (i.e. local grocery store coupons or restaurant offers). These are usually addressed to "To Our Friends/Neighbors. Not knowing what you’re doing can fritter away those minutes and hours. 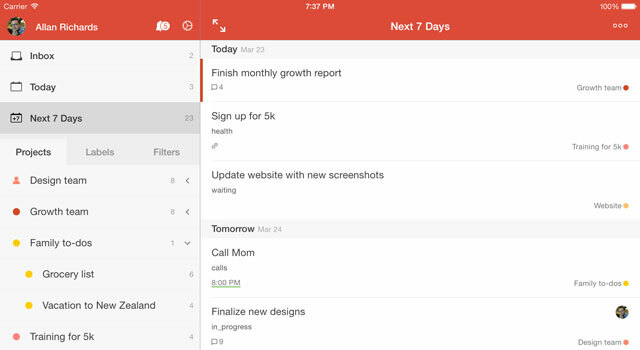 Using a task management app like Todoist helps you focus by noting down short-term tasks, long-term goals as well as ideas you have in the course of the day. With a clear mental map of what you need to do, you can manage your schedule more efficiently, including squeezing those tiny to-dos – say, renewing your domain subscription or calling someone back – into the spaces between other appointments and projects. The interface offers great features for managing your projects, including color-coding, searchable labels and the ability to have sub-tasks. Todoist is also a good resource for managing projects with contributors, though for that, you’ll need to upgrade to its $29/year Premium version. It is important to note that you can only stop 3 vendors with the free version of Paper Karma and then you need to pay. You have promoted this app before but omitting how limited the free version is is a disservice to readers.